Sustaining your home’s energy efficiency requires continual diligence, but it’s well worth the effort. Most people don’t realize how expensive seemingly “small” energy inefficiencies can be. The good news is, once identified, such issues—minor air leaks, for example— are often easily resolved. Many homeowners don’t realize where their problem spots are—or even that they have energy inefficiency problems. In other words, they don’t know what they don’t know. That’s where our free GVEC energy audit for the home comes in. This valuable, money-saving service, which is performed by GVEC Member Services Advisors, is one more tangible benefit that comes with being part of a member-owned electric cooperative. Our advisors have performed our free GVEC energy audit for years. In that time, we’ve identified many issues that are common to every home. Occasionally, however, we also uncover issues that surprise us. What kinds of unusual energy wasters has our free GVEC energy audit encountered over the years? We once discovered a leaking hot water pipe that caused the member’s water heater to continuously cycle. On another home energy audit, we found a waterbed heater that ran nonstop and on a handful of others, we’ve identified HVAC heat strips that ran simultaneously with the AC. None of these were difficult or costly fixes; however, uncovering the problem(s) was critical. But it’s unlikely that any of these would’ve been discovered without a free GVEC energy audit for the home. If cooled or heated air from your HVAC system is leaking into the attic, you could be throwing away as much 40 percent of your power bill. The older a fridge or freezer, the more likely it is to have efficiency problems. It’s also a good idea to avoid storing one of these units in places without air conditioning, as doing so greatly compounds inefficiencies, contributing to significantly higher power costs. How old is your AC/heating system? In recent years, innovations like multi- and variable-speed motors and the Seasonal Energy Efficiency Ratio (SEER) rating system have dramatically improved overall AC/heating efficiency—especially when combined with newer heat pump models. In fact, by some estimates, a new, state-of-the-art heat pump system can save up to two-thirds in power costs at certain times of year compared to older models. How long has it been since you sealed your home’s doors and windows against leaks? Allowing even a small leak to go unaddressed can generate a power expense similar to leaving a window open year round. When you’re not using your fireplace, it’s important to keep the dampers closed. Otherwise, heated and cooled alike air gets swept up and out the chimney, contributing to a significantly higher power bill. Insulation, like most other products, becomes less-effective as it ages. It’s also possible you simply don’t have enough insulation installed or that you need an upgrade in insulation standard. This is another easy fix and yet another significant contributor to higher power costs. Your AC filter works as hard as your AC itself and needs to be regularly changed. If you don’t change it frequently enough, your filter can become clogged. Clogging restricts airflow, lowers efficiency and, ultimately, damages the system. How often you change the filter depends on a number of factors: filter type and size, system age, whether the home is urban or rural, whether there are pets in the home, and other factors. Ask your GVEC Member Services Advisor about filter maintenance for greater energy efficiency. Current homes, including the AC/heating systems that heat and cool them, last longer and operate with greater energy efficiency than ever. However, these marvels of modern tech can’t operate at peak energy performance without proper maintenance. Managing your home’s energy efficiency can be challenging, though, especially if you don’t know what problems to look for or where to find them. 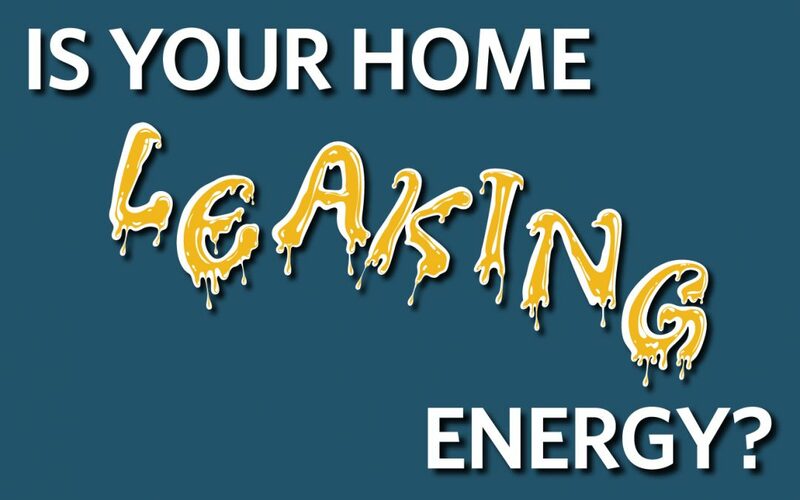 With our free GVEC energy audit for the home, we can help. To learn more about our free home energy audits for members or to schedule one, call 800.223.4832.